WTM has announced the 2018 International Travel & Tourism Awards winners at the WTM awards ceremony, on Tuesday 6 November 2018, at London’s Tobacco Dock. 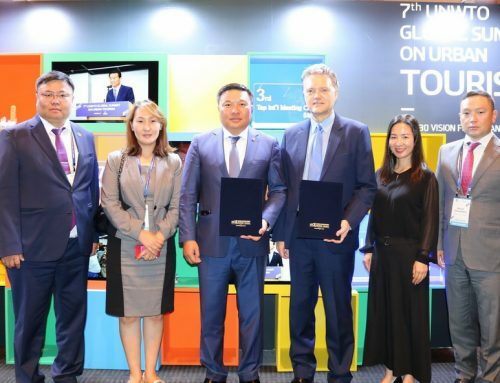 The 500+ travel professionals who attended cheered their success and the Award’s international media partners have given them a global platform, to stand out as the best in the business. 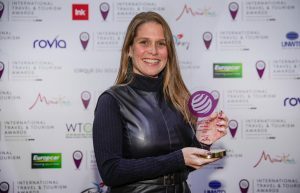 GSTC Member Viajar Verde has received the WTM International Travel & Tourism Awards 2018 for Best Digital Influencer in the Industry. Ana Duék is a travel blogger dedicated to raising awareness about sustainable tourism within Brazil and Latin America. In two years, her blog and website, Viajar Verde, became recognised as the main website and reference on responsible tourism in Brazil. The audience was built to more than 12,000 pageviews/month and targeted to both travellers and the travel industry. On Facebook, she has 7,800 followers. In two years, Ana Duék has given speeches on different sustainable tourism events and joined as media partner on other national international events. For more information: Winners of the 2018 International Travel & Tourism Awards.